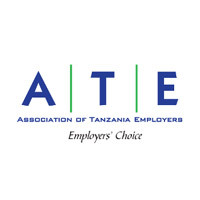 The Association of Tanzania Employers (ATE) formerly known as the Federation of Tanganyika Employers (FTE) is Tanzania's apex employers' organization It was formed in 1960 to represent few private employers. ATE is registered and recognized under the Employment and Labour Relations Act (No. 6 of 2004) as an Employers Union in Tanzania. It represents employers in all sectors of the national economy excluding the civil service. ATE, the Government and the Trade Unions form the Tripartite Forum which addresses all industrial relations and labour related issues at sectoral and national levels. ATE is an active member of national, regional, continental and international organizations like: Tanzania Private Sector Foundation (TPSF), East African Business Council (EABC), SADC Private Sector Forum (SPSF), Business Africa and International Organization of Employers (IOE). The Association has more than 7,600 members from all sectors of the national economy, of which 70% are based in Dar es Salaam and the remaining are scattered in regions of Tanzania Mainland. It has also a Zonal Office in Arusha to cater for members in Northern Tanzania. The Association wants to further strengthen its Secretariat by employing a suitable and qualified Officer to fill the below vacancy. Applications are therefore invited from qualified Tanzanian Nationals for the following vacant posts. ATE is an EQUAL OPPORTUNITY EMPLOYER. Manage the day- to-day activities of the project. Project Management, Report Writing, Corporate communication, Public Relations, Research working Knowledge, managing meetings, Training and facilitation skill working Knowledge. Experience with training and talent Management. Good interpersonal skills and emotional intelligence, team player and proactive. For consideration, please submit your detailed CV, names of three referees (not relatives), copies of certificates, one page draft on women and leadership in Tanzania, testimonials and a cover letter to reach the undersigned by 12th June 2018.